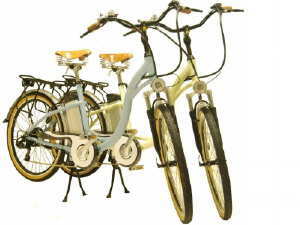 Electric bikes are the fastest growing sector of the bike market and once you have tried riding one you will be hooked! If you would like to arrange a workplace demonstration of our electric bikes at your premises so that everyone can try out a few different models just get in touch with us. We can arrange test rides before or after work, or during the lunch break. Alternatively if you are based in Leicester city centre why not arrange a test ride before or after work, or during your lunch hour?